This episode stars some of our favorite AmusementSparks guests! Hear Zane, Nic, Wendell, and Will share their ideas for remodels and renovations of our past 5 parks! Join us as we update the Disney Afternoon Tooniverse, Yu-Gi-Oh Duelist Kingdom, Survivor: All In, Greenhill Manor, and t r e e! Season 3 will premiere on November 6th. 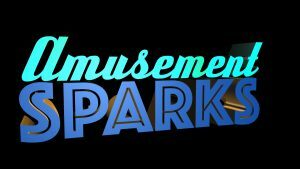 There are exciting things in the works for AmusementSparks, so stay tuned to our social media and website for updates! Scooby Doo is a household name, but in this episode, we break new theme park ground. This is probably the most immersive and impactful park we have designed so far! My guest for this episode is Nic Robes who hosts the amazing What’s with You? Scooby Doo! Podcast. Those different colored words in the previous sentence are links to Nic’s stuff! I think this would make a great introductory episode, so if you have any friends who might like it, now is a great time to share this podcast!